Lovely Belville floorplan by Beazer Home in a Master Plannned Community located next to lake and biking trails for fun family outdoor activities. This home was recently updated and is Move-in Ready! This 4bed/2.5 bath home features beautiful vinyl wood and tile floors throughout the home, matched with granite countertops and a tile backsplash in the kitchen. Brand new stainless steel appliances just installed along with a new oversized sink. The spacious living room is complimented by an elegant fireplace and will be great for entertaining guests. Storage space is abundant with huge walk-in closets in every bedroom. Priced to sell! Directions:From I-10; drive North on Fry Rd. Left on Chilton Blvd. Right on Parker Mill. Right on Pioneer Mill. Left on Doral Chase. Right on Glademill. SchoolsClick map icons below to view information for schools near 20518 Glademill Ct Cypress, TX 77433. Listing provided courtesy of Winning Real Estate. The data relating to real estate for sale on this web site comes in part from the Internet Data Exchange Program. Real estate listings held by IDX Brokerage firms other than Signature Real Estate are marked with the Internet Data Exchange logo or the Internet Data Exchange thumbnail logo and detailed information about them includes the name of the listing IDX Brokers. This information is provided exclusively for personal, non-commercial use and may not be used for any purpose other than to identify prospective properties consumers may be interested in purchasing. Home for sale at 20518 Glademill Ct Cypress, TX 77433. Description: The home at 20518 Glademill Ct Cypress, TX 77433 with the MLS Number 14413214 is currently listed at $265,000 and has been on the Cypress market for 6 days. 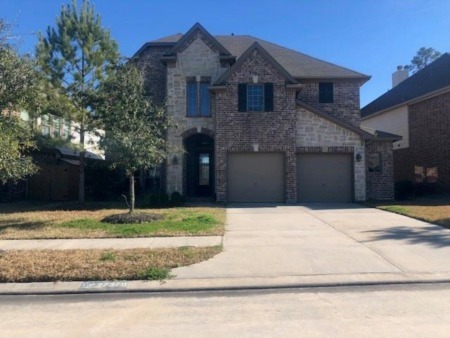 You are viewing the MLS property details of the home for sale at 20518 Glademill Ct Cypress, TX 77433, which is located in the Canyon Lakes West Sec 01 subdivision, includes 4 bedrooms and 3 bathrooms, and has approximately 3359 sq.ft. of living area. © Copyright 2019 Signature Real Estate. All Rights Reserved.